SOLAR PV SYSTEM: Sunpower Corp. The Ford Assembly Building was originally designed by Albert Kahn in 1931 as a car factory for Henry Ford. Despite the fact that the building was placed on the National Register of Historic Places in 1988, the survival of this industrial masterpiece was once in doubt, especially following its devastating damage in the 1989 Loma Prieta Earthquake. The building was considered a white elephant by many, who argued that it was economically unfeasible to rehabilitate it. Fortunately, the City of Richmond resisted the expediency of demolishing the West Coast’s most sterling example of this architectural typology. However, finding a way to revive the magnificent auto factory was elusive for the City, as attempt after attempt failed to find a financially viable way to adaptively reuse the building, while adhering to the preservation standards of the National Park Service and the State of California Historic Preservation Office. Today, the mixed industrial office and public venue has been designed, constructed, made solar-powered and fully occupied. The tremendous 65-foot high Craneway Pavilion on the waterfront is now a public entertainment venue for activities ranging from dance and music performances to weddings, banquets and circus shows; and the adjacent, eponymous Boiler-House Restaurant is a popular meeting place. 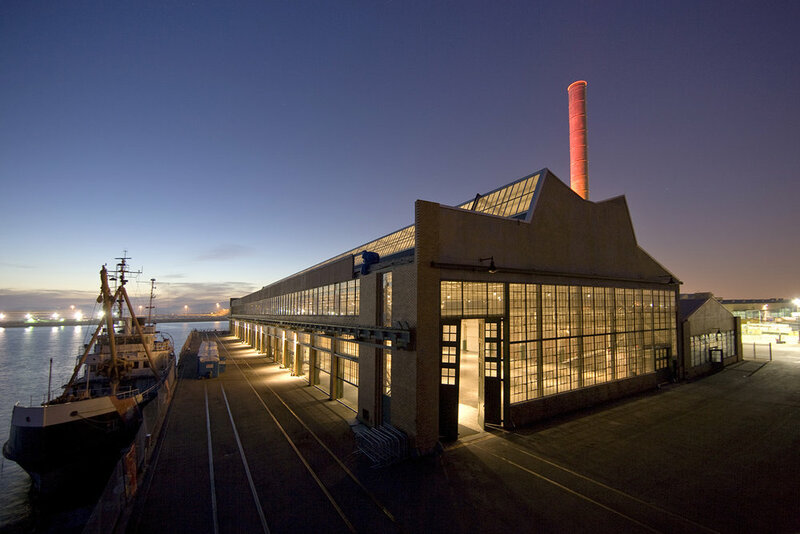 Further, the buildings host several green business tenants, attracted to the idea of recycling as a means to sustainability, the building’s status as a landmark gem, and the waterfront which commands spectacular views of San Francisco. The project to renew the building was driven by an impetus to salvage and restore features inherent to the building’s architectural spirit, while visually reinforcing its repetitive structural, fenestration, and skylight modules. The adjacency of the project to the Bay Trail (a bike and pedestrian path that circumscribes the entire San Francisco Bay) and its water frontage is simpatico with the Ford Building workers’ predilection for commuting by bike or ferry. Continuing this commitment to alternative transportation, the design links the waterfront with the Bay Area Rapid Transit. Despite the site’s proximity to the freeway, the gasoline-fueled automobile is no longer king at the Ford Building - though electric cars and hybrids are more than welcome in the parking lots.